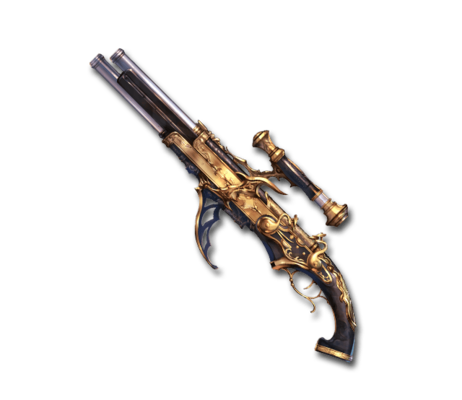 An evil gun spawned from the ancient dark arts. Only those who've signed a pact with demons dare pull the trigger. Unworldly damage (1200%) multiplier (Damage cap: ~2,359,000).